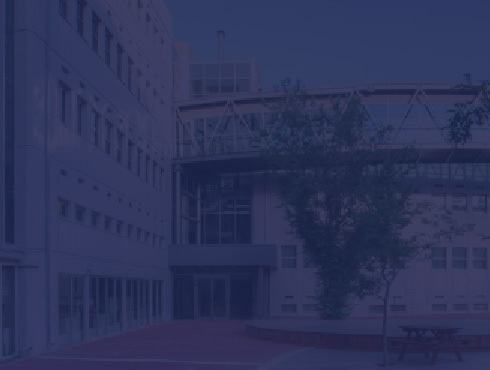 The James (Jimmy) H. Belfer Memorial Symposia Series is dedicated to the memory of James (Jimmy) H. Belfer and is organized by the Faculty of Mechanical Engineering at the Technion, Israel Institute of Technology. Jimmy was an exceptional young man, intelligent, kind, sensitive and possessed a fine sense of humor. He was a loving and beloved son to his parents and a treasured brother to his two young sisters and older brother. Jimmy was only 20 years old when he was swimming in a reservoir in Colorado when a drunken, hit-and-run boat driver careened out of control into the designated swimming area causing the tragic and untimely loss of Jimmy’s life. Having the tragic and agonizing responsibility of commemorating the name and memory of their son and brother, his parents, brother and sisters have endowed the Technion`s James (Jimmy) Hugh Belfer Chair in Mechanical Engineering and the James (Jimmy) Hugh Belfer Symposium Fund. This choice was predicated on Jimmy`s love for Israel and his keen interest in all things mechanical. Since its inception in 1989, more then twenty symposia have been organized. Themes of these symposia are borrowed from the variety of subjects comprising the discipline of mechanical engineering, i.e., heat transfer in biological media, non-linear mechanics, robotics, fluid dynamics, micro-electromechanical-systems (MEMS), etc. A list of past symposia is appended. State-of-the-art keynote lectures and tutorials are delivered in each of the symposia by invited leading scientists from the international community. Additionally, short thematic lectures and progress reports are presented by Israeli scientists. The full transcript of the keynote lecture(s) and extended abstracts of the thematic presentations are published in the proceedings of each Symposium. Control of the Indoor Air Quality for Improving Human Well Being, Comfort and Productivity, 7.11.2005 (Organizer: A. Shitzer). Cryogenic Engineering and Applications,4.4.2006 (organizers:G.Grossman and B-Z.Maytal). Neuro-Mechanics, Dynamics and Decision Making, 15-16.2.2009, organizer: M. Zacksenhouse. Medical and Biomedical Applications of Thermal and Non-Thermal Processes, 27.4.2010, organizers: A. Shitzer and Y. Halevi. Atmospheric Aerosols, 23.2.2011, organizers: D. Broday and M. Shapiro. Structural Dynamics Systems – Design, Control and Energy Harvesting, 29.2.12, organizers: I. Bucher and Y. Halevi. Past holder of the James (Jimmy) H. Belfer Chair in Mechanical Engineering: Prof. Avraham Shitzer.